It has been a long time without posting here, but I have been taking care of piurl.com. I haven’t done any progress in production for piurl.com, at least nothing users can notice (fixed Kaminsky DNS Vulnerability, domain registrar change, …), apart from the report abuse link you can find in each page. Pending in development there are several improvements in safe browsing, but I have no release date for them yet. And I also want to talk about the iPhone. 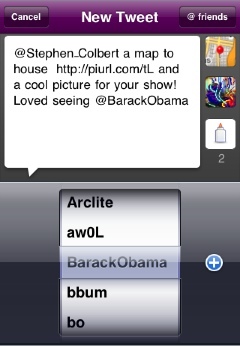 There is an iPhone app using piurl.com API, Twittelator . It is a free Twitter client, with some good critics. I don’t knowTwittelator’s developer but I think he has done a great job in this app. I hope he keep the trust in my service. I am also using the API in another personal project not released yet, Monbeta.com. The use of piurl.com is great over 125,000 links and 2.500,000 hits. I haven’t found any service in Spain with this traffic.